The Market is Segmented by Voltage (Low Voltage Intelligent MCCs, Medium Voltage Intelligent MCCs) End User (Automotive, Pulp and Paper, and Oil and Gas ) and Region. 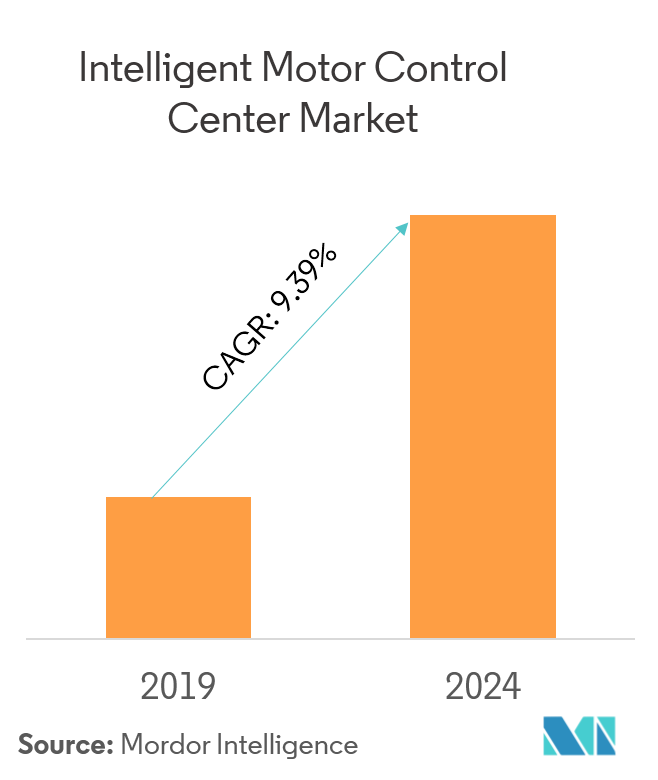 The global intelligent motor control center market was valued at USD 1.67 billion in 2018 and is expected to reach a value of USD 2.885 billion by 2024, at a CAGR of 9.39%, over the forecast period of (2019-2024). IMCCs offer many advantages to the users, as they combine hardware, software, and communication systems. Piles of data generated by PLCs and motor starters are collected and analyzed to minimize the equipment downtime of the motors. With the rising labor costs and a highly competitive market, which has lead to a low-profit margin for companies, the need for high-efficiency motors with improved control and automated systems has increased considerably. The impact on IMCCs, due to advancements in technology, made its components (electromechanical relays, circuit breakers, electronic devices, such as variable frequency drives) more robust, and in turn, increased the robustness of the IMCCs. The lifecycle of an IMCC is more than 20 years, which tremendously reduces the replacement rate of equipment. Even in case of product defects, end users are likely to replace only the faulty components rather than the entire equipment, which results in depletion of revenues in the market. Automation is a growing trend that is witnessed across various industries. High labor costs and high competitive rivalry have triggered the demand for automated systems in the processes. Automated systems are replacing manual labor in various industrial processes. A motor control center (MCC) is an assembly of one or more enclosed sections having a shared power bus, and principally containing motor control units. In other words, MCCs are a factory assembly of several motor starters. Network communication challenges and technological advancements have revealed the need to integrate three primary system components: hardware, communications, and software. Next-generation, integrated, intelligent motor control centers (IMCCs) were introduced to match these growing demands. IMCC finds applications in the manufacturing plants of automotive and other transport vehicles, such as ships and railway carriages. IMCC demand in vehicle manufacturing is expected to increase at a steady pace, particularly in Germany, United States, and Japan, owing to the presence of a robust automotive manufacturing sector and higher penetration of industrial automation. Organisation Internationale des Constructeurs d'Automobiles (OICA) reported that the total number of cars produced in 2016 amounted to 94,976,569 units. The growing demand for automobiles is expected to continue over and beyond the forecast period, which will, in turn, create a demand for effective manufacturing equipment and technologies. Automakers like Toyota, Mazda, BMW, etc. 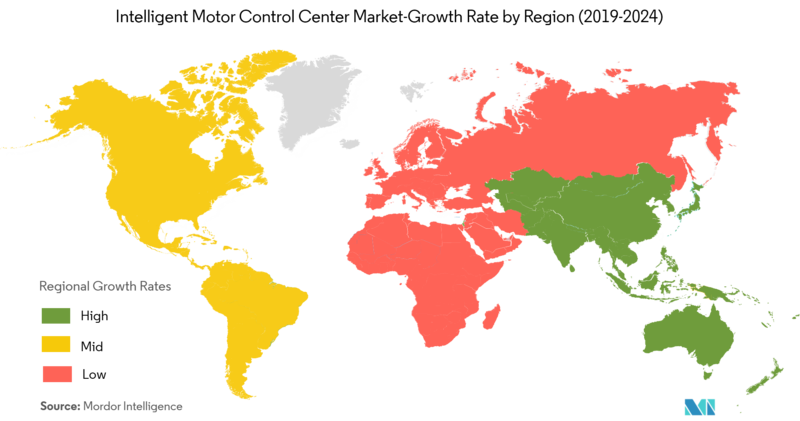 are expanding their operations across North America, and Asian regions can be potential buyers of IMCC over the forecast period. The North American market is a relatively mature market, but still presents ample opportunities for the implementation of new technologies, such as IMCC. The Energy Information Administration (EIA) estimated that nearly half of the electricity used by the US manufacturers was for operating machinery, of which machine drives (motors) consumed the most. The US Energy Information Administration estimated that in 2017, the chemical industry was the largest industrial consumer of energy. The chemical industry, along with refining and mining industry, accounted for about 58% of the total US industrial sector energy. Such statistics indicate the scope for the adoption of IMCC, in order to reduce energy consumption. It is estimated that about 77% of the energy generated in Canada is from renewable energy sources and nuclear energy combined. This percentage is expected to grow over the coming years, owing to the environmental regulations against the use of fossil fuels. The extensive use of electrical enclosures in hydraulic and solar grids is expected to drive the market forward in this region. 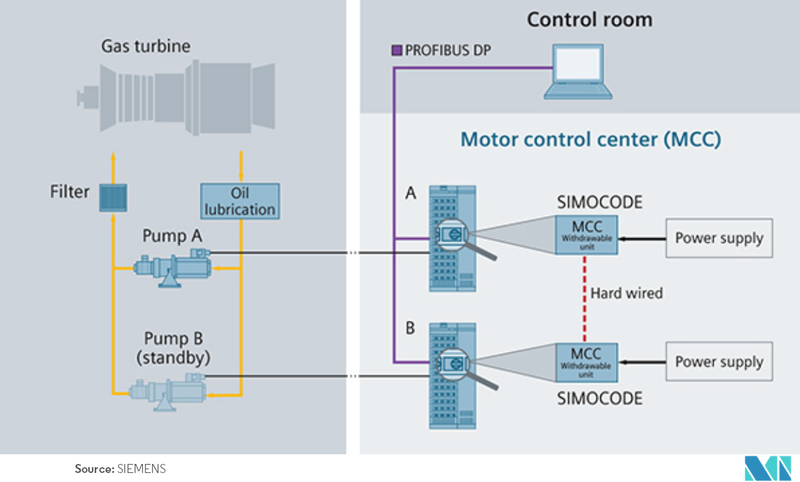 With the existing companies shifting from MCCs to IMCCs, and with the growing demand for intelligent motor control centers, companies are competing on a large scale. 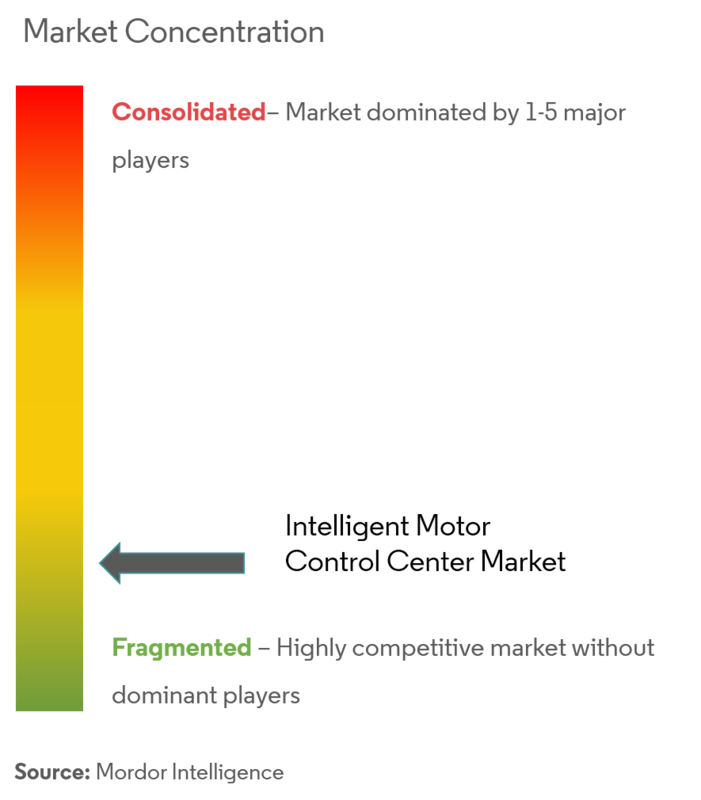 As this is a fragmented market, competitive rivalry is very high, with newer companies trying to tap the niche areas of the market. Rockwell Automaton added five new members to its Machine Safety System Integrator program. Created in 2014, the program helps industrial companies identify system integrators with current safety standards expertise and a proven track record in designing safety systems. GE Power’s Grid Solutions business has launched in India a first-of-its-kind Advanced Distribution Management Solution (ADMS) in collaboration with Tata Power Delhi Distribution (Tata Power - DDL), a pioneer in India’s power distribution landscape. The newly launched ADMS, which will facilitate advanced monitoring, analysis and improved control and planning operations, will help Tata Power-DDL to enhance the reliability, safety, and efficiency of Delhi’s distribution network.